• Rheumatic fever is seen 2 to 4 weeks after beta-hemolytic streptococcal pharyngitis. • Antibiotic treatment for streptococcal infection can help prevent development of rheumatic fever. The Jones criteria and antistreptolysin O titers are helpful in diagnosis of rheumatic fever. Rheumatic fever is a systemic inflammatory process initiated by group A beta-hemolytic streptococcal pharyngitis. Often, younger children in particular do not recall antecedent pharyngitis, which usually occurs 2 to 4 weeks before symptom onset. Rheumatic fever appears to be linked only to pharyngitis; group A streptococcal (GAS) impetigo does not seem to be associated with rheumatic fever. Rheumatic fever most often affects children 4 to 9 years of age, and onset is usually characterized by an acute febrile illness that can cause large-joint migratory arthritis, CNS involvement (Sydenham's chorea), characteristic rash, and carditis with inflammation of heart valves and subsequent damage. Antibiotic treatment of GAS pharyngitis greatly reduces development of rheumatic fever. The 1992 revised Jones criteria are useful in the diagnosis of acute rheumatic fever (Table 32-6). From Gibofsky A, Zabriskie JB. Rheumatic fever. In Klippel JH (ed). Primer on the Rheumatic Diseases, 12th ed. Atlanta, Arthritis Foundation, 2001, p 282. *If supported by evidence of preceding group A streptococcal infection, the presence of two major manifestations or of one major and two minor manifestations indicates a high probability of acute rheumatic fever. ESR, Erythrocyte sedimentation rate; CRP, C-reactive protein. adults. The arthritis then resolves spontaneously. Carditis involving the valves, particularly the mitral valve, is the most severe sequela. Rheumatic heart disease is the most common serious sequela and usually occurs 10 to 20 years after the original attack. 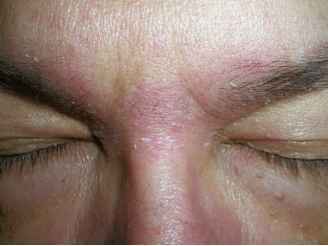 Patients might also have erythema mar-ginatum, a rash with open or closed ring lesions with sharp outer edges or macular rings with pale centers, or both. The rash spreads centrifugally from the trunk to the extremities with lesions that come and go. The antistreptolysin O (ASO) titer is the most useful laboratory test, because pharyngeal cultures are often negative by the time rheumatic fever develops. The ASO titer rises 4 to 5 weeks after the onset of GAS pharyngitis, or 2 to 3 weeks after development of rheumatic fever. Because only 80% of patients with rheumatic fever develop an increase in ASO titer, clinically suspicious rheumatic fever with a negative ASO titer should be followed up by testing for antistrepto-coccal antibody, such as anti-DNase, anti-DNase B, and anti-hyaluronidase antibody tests. Aspirin is the drug of choice for acute rheumatic fever and usually results in a dramatic response. The usual dose is 80 to 100 mg/kg/day for children and 4 to 8 g/day for adults. Penicillin should also be given for a 10-day course whether or not pharyngitis is present, and family members and other close contacts should be cultured and treated if necessary. Intramuscular (IM) penicillin is more effective than oral (PO) penicillin in clinical trials. No benefit has been shown from IV immune globulin (IVIG) or corticosteroids for rheumatic fever, but studies continue (Manyemba and Mightosi, 2004).